Want to check out the new book and see the great savings? View our book online! 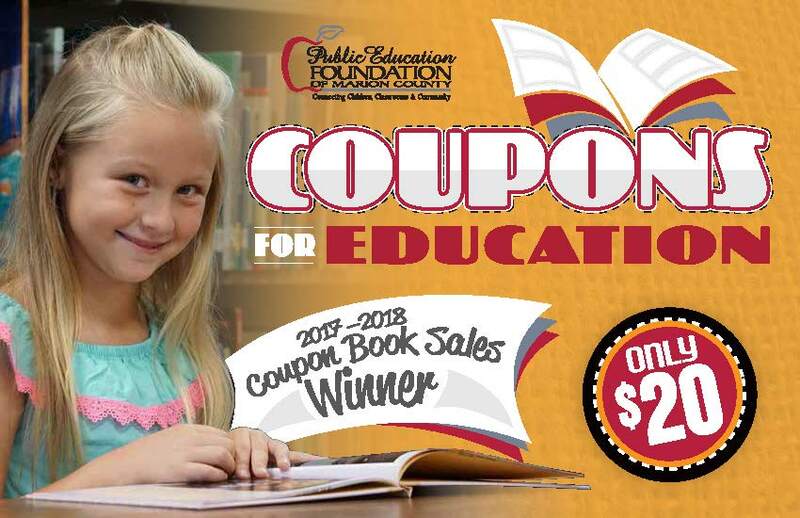 The Public Education Foundation’s Coupons for Education sale has raised over $1.1 million since the campaign began in 1993. This is a district-wide fundraiser that provides schools with an opportunity to sell coupon books filled with hundreds of dollars worth of discounts to local businesses. Marion County schools use the proceeds to buy classroom equipment and create special programs. Are you a Marion County Public Schools employee? Join Payroll Deduction today! By donating just one dollar of your paycheck, you can support the programs of the Foundation.